We know yoga is not one-size-fits-all! Try all of our styles and teachers to see what works best for you. Vinyasa classes bring together awareness of the body and breath to create a dynamic, flowing class that will encourage muscular strength and length. 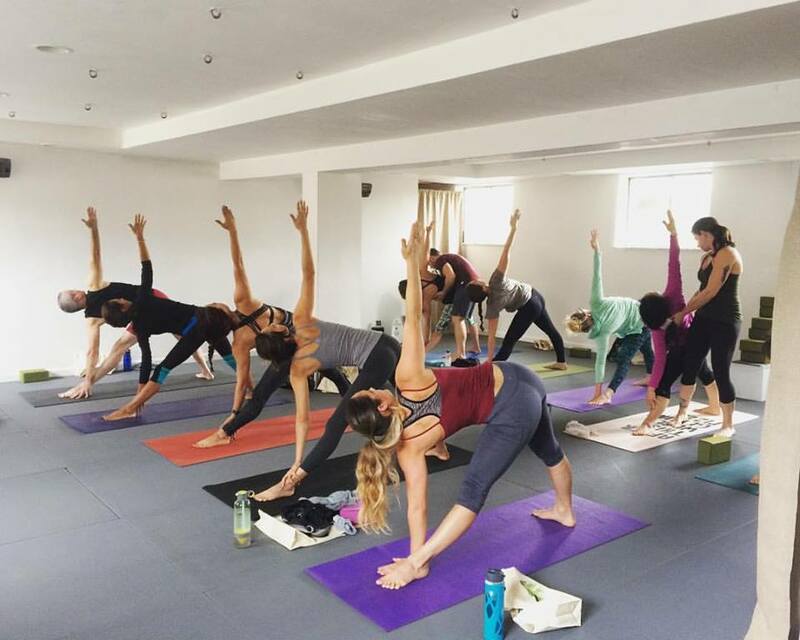 Vinyasa classes incorporate a variety of postures and breathing exercises to improve your physical and mental stamina. You will leave feeling stronger, lighter and more focused! The fit and fly class will incorporate the postures and mindfulness of traditional yoga into aerial hammock-assisted strength training. This non-heated class will challenge you mentally and physically. Join in to tone muscles, overcome fears, and channel your inner monkey. While you don't need to be an experienced yogi or acrobat, the class will include inversions and cirque tricks, so some basic knowledge of yoga or movement is helpful. Aerial is a lighthearted practice that welcomes people of all experiences and levels. 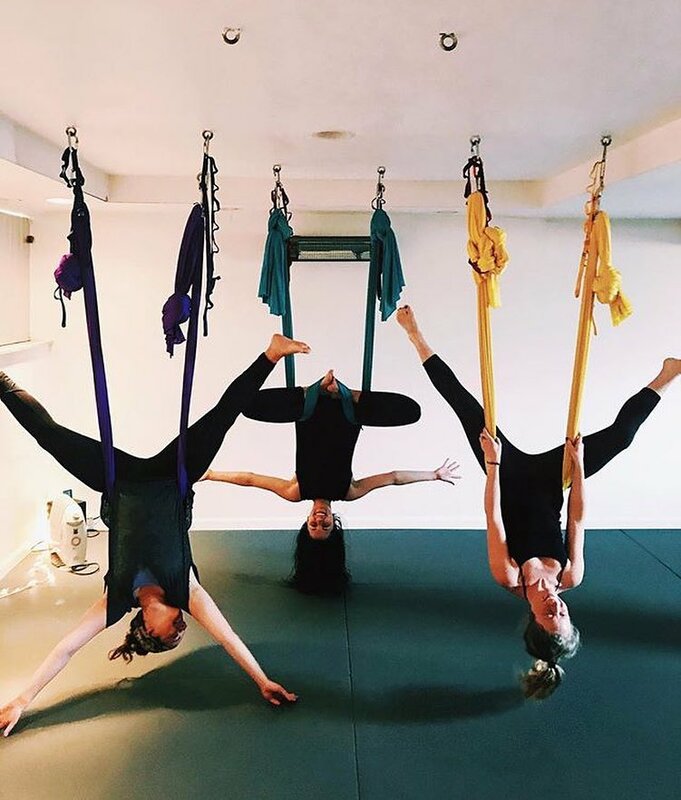 Note: for the safety of our yogis and hammocks, all jewelry must be removed for aerial classes. Yin yoga is a slower, meditative practice which targets the fascia, or connective tissue within the body. Yin shapes are held for extended periods of time with some muscles relaxed, allowing the body's own weight and gravity to support the release of connective tissue and joints. This practice challenges students to relax deeply in order to relieve tension while focusing on the present moment. Yin yoga is great for practitioners looking to improve flexibility and develop a deeper awareness of both body and breath.